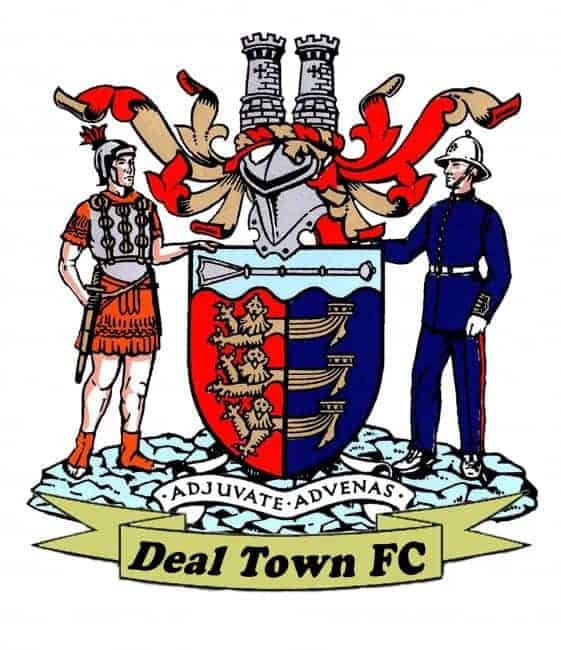 To say that Deal endured an eventful start to the new season in south-east London on Saturday could be considered as something of an understatement. The Hoops had three penalties awarded against them, captain Luke Bigginton was sent off for two yellow cards while head coach Steve King was shown a straight red card by referee Jamie Eacott. With all that negativity taken into account it’s little surprise that manager Derek Hares admitted afterwards that he was satisfied with a point after a game which was played on a poor pitch and in baking hot conditions. After a cagey and evenly-balanced opening period the match suddenly sprang into life when the Rams were awarded the first of their penalties. Mr Eacott pointed to the spot after Liam Hark and Emmanuel Oloyede tussled for a 24th-minute far-post cross and Mickandress Mackangou did the rest. But the Hoops responded almost immediately, Steve O’Brien firing home a low free-kick two minutes later after Connor Coyne had been fouled on the edge of the box. And Deal then gradually began to impose themselves on the match from midfield, with due reward coming seven minutes before half-time when Sam Wilson produced a cool finish after a neat “one-two” with Coyne. 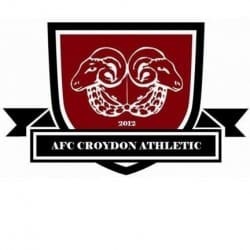 Croydon, however, stepped up a gear straight after the restart and within four minutes they were awarded their second spot kick, this time after Kane Smith was adjudged to have fouled Mackangou. It looked a dubious decision and Bigginton was yellow carded for dissent after leading the Hoops’ complaints, but justice was perhaps done when James Tonkin dived low to his left to save Mackangou’s penalty. Tonkin then pulled off another couple of good saves and the Hoops also survived one goalmouth scramble as they clung onto their slender lead until 13 minutes from time when Croydon were awarded penalty number three. Bigginton pulled back Oloyede in the area and was shown a second yellow card by the referee before Naham Green equalised from the spot. At this point Steve King’s frustration boiled over on the touchline and he was shown a red card by Mr Eacott and Deal now had to try and survive the closing stages with 10 men, but they managed to do so in fairly comfortable fashion and were then relieved to head for home with a hard-earned point. Deal: Tonkin, Hark, O’Brien, Bigginton, K Smith, C Miller, Foster (Howard 65), Adams (Scott 60), Coyne (Alexander 88), Wilson, Walsh.